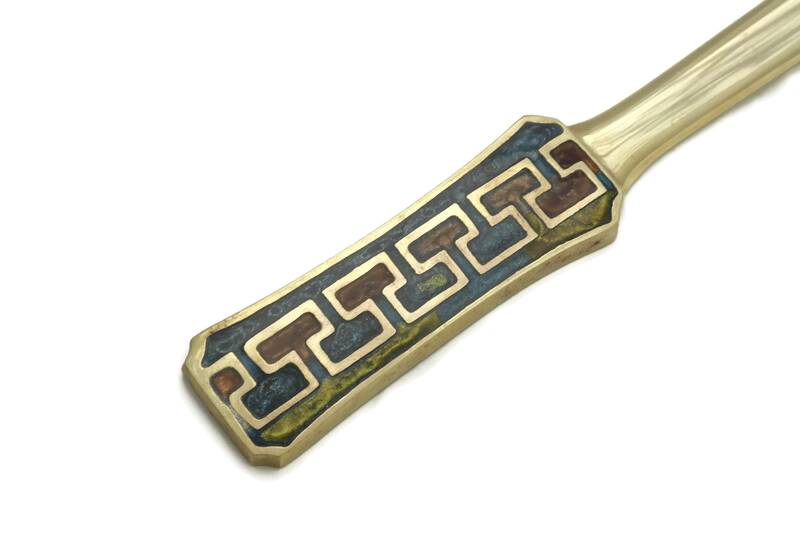 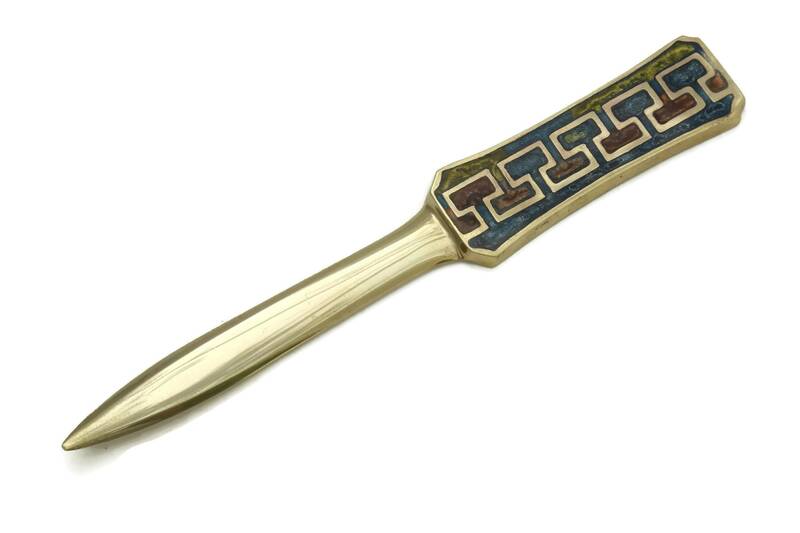 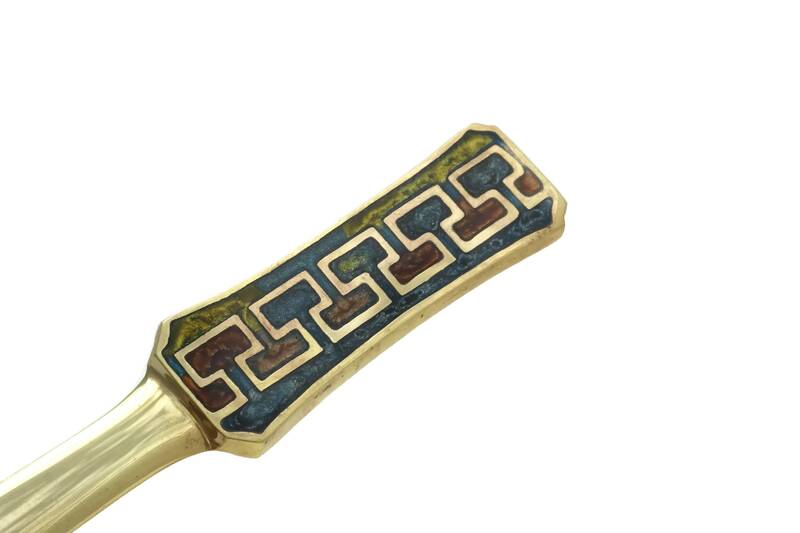 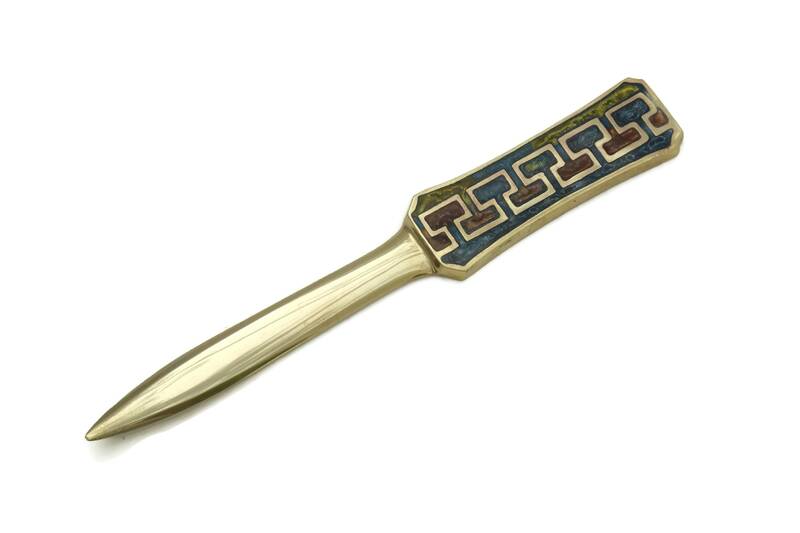 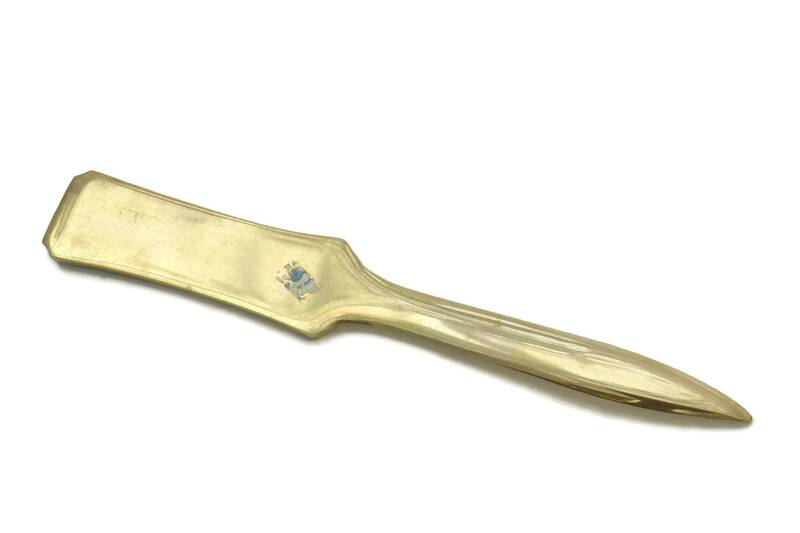 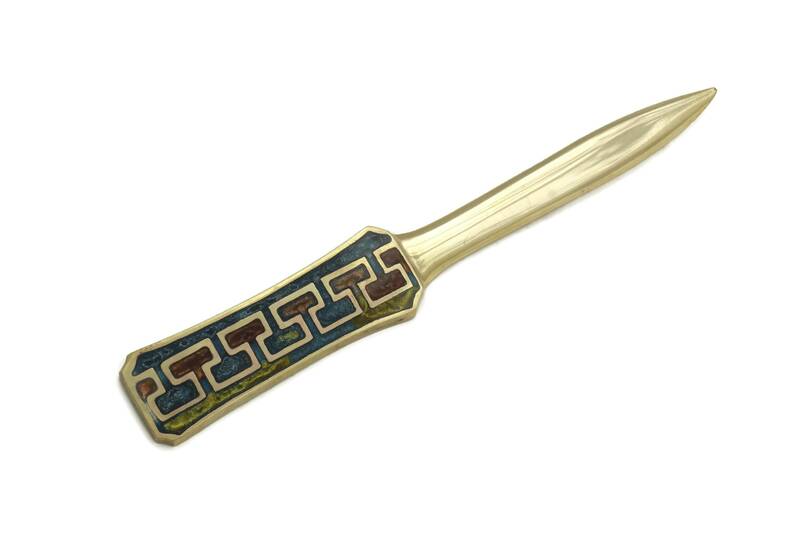 A stylish vintage brass letter opener with a handle decorated in beautiful enamel cloisonne in shades of blue and red. 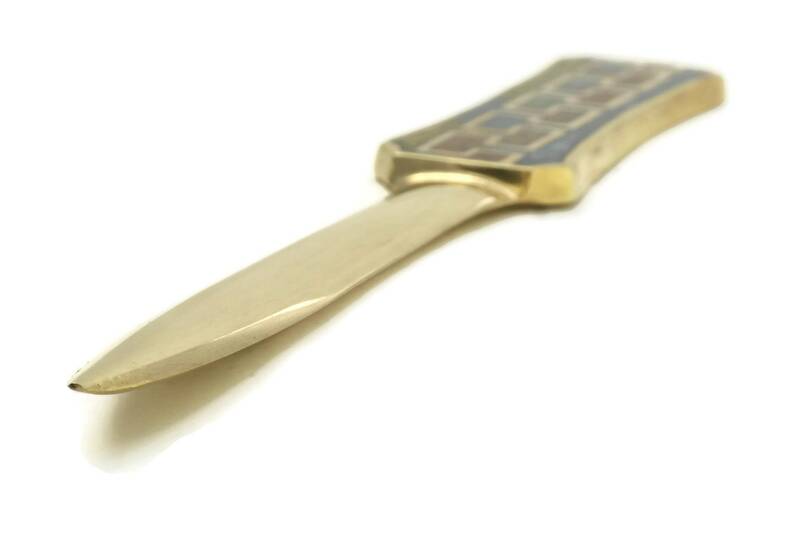 The paper knife dates to the mid century modern era and would make an elegant addition to your office decor. 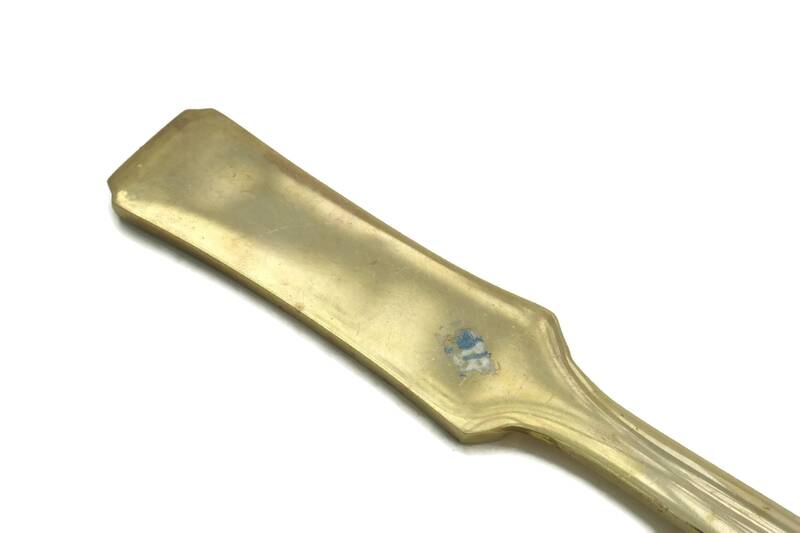 (19 cm x 2,5 cm). 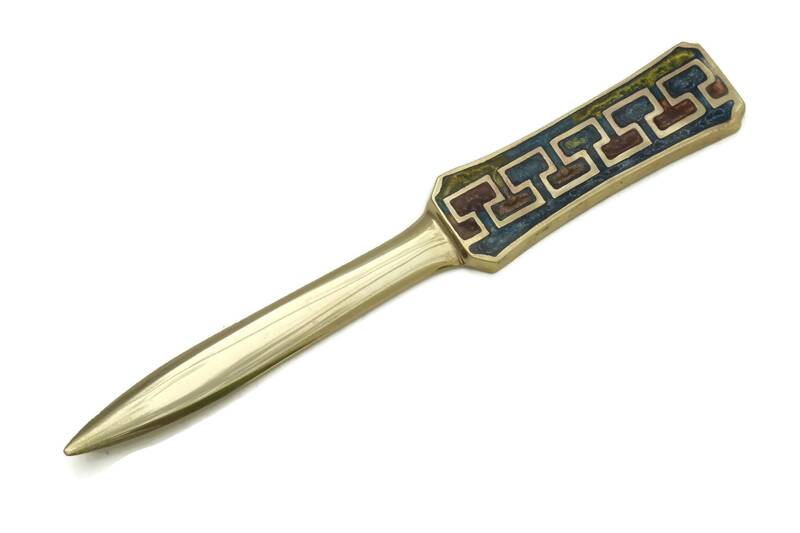 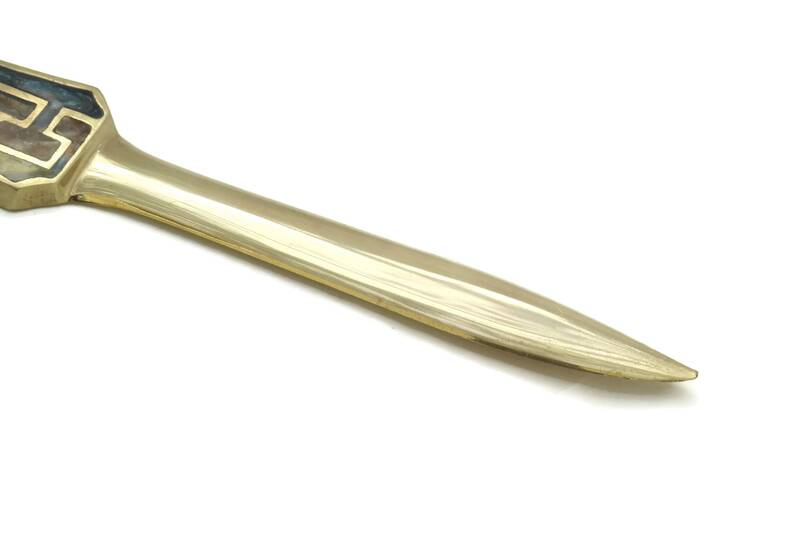 The letter opener is in very good vintage condition.